There are AT LEAST 1000 McDonalds that need to be closed. Probably 1400 if you include Walmarts. Exactly right!! 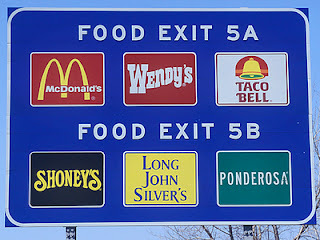 So many MCD restaurants that should have never been built. MCD said they were building them so our competitors could not get a foot hold in these trading areas. Well competitors came anyway. The result over the years IS that the supply of the Fast Food product far exceeds the demand. Even now MCD wants to keep expanding where it makes little or no sense to do so. They make really bad decisions. I mean really bad. REMEMBER THIS- even if you have a money losing ,low volume store, MCDONALDS STILL MAKES GUARANTEED INCOME OFF IT ! Coming from a CEO who has massvie expansions plans for their brand out west! I love how CEO’s all blame whatever they can when their stock is down; it’s always the weather, to many restaurants, etc. etc. they never say we expanded too much. This is one of the many reasons McDonald's management considers the smaller Operators to be a "liability". The Operator can't afford to keep the unnecessary stores open. If McDonald's is leasing the property they probably have a fixed rent but still get their percentage rent and service fees from the Operator. I was out west on vacation. Not in California, but in the south. Great! Starbucks and Dunken do the right thing CLOSE! Your staff and customers will be fine, we will gladly hire your staff and managers and take good care of your customers. Be responsible... get it done.